Leipzig. 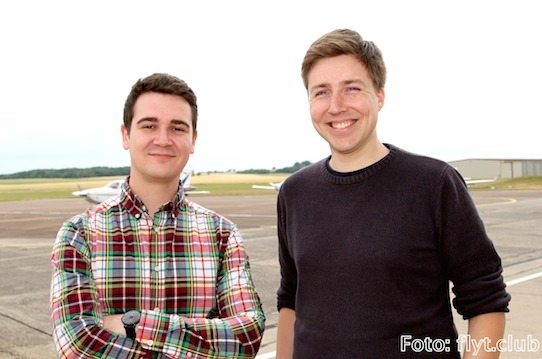 Peter Nürnberger (26) and Kim Julian Becker (26) from Leipzig have transferred the principle of car sharing into the field of private flights. In their newly established internet platform Flyt.club, amateur pilots have the opportunity to offer flights, while interested parties can make a binding reservation. 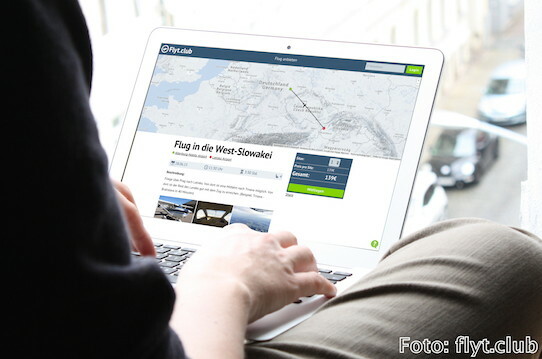 “My colleague Kim Becker had read about flight sharing platforms half a year ago. 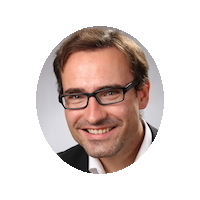 However, most of them were designed for pilots only and not for fellow passengers,” says Peter Nürnberger. In addition, the former design student noticed the poor layout of these pages. “One platform was located in a pilot forum and made no appealing impression. When we found nothing better on the internet, we decided, after intensive research, to start our own company,” explains the 26-year-old. But first, the two designers had to write their bachelor thesis. And because they were already thinking day and night about their business idea, they wrote it consequently about the flight sharing platform. “During this time we talked a lot with pilots and flew around,” Nürnberger remembers. Nevertheless, the founders knew: A good idea is not enough. Only with an ingenious business concept, the startup has a good chance to exist in the long run. With their startup grant that yields each founder 2000 euros per month, they sought advice at the Leipzig based consultant agency “Gründernest” (Founders Nest). Founding experts put their project to the acid test. In the course of their research the two entrepreneurs also dealt with legal aspects. “According to a directive of the European Union (EU) from last year, private pilots may fly itself only at net costs and may not carry more than six persons. Before, there was no clear ruling, which is maybe one reason nobody entered this business,” said Nürnberger. The prices of flights vary depending on the distance and expense. As a guide, it can be said that an airplane costs including petrol about 150 euros per hour, when a pilot charters it. The platform Flyt.club is designed in a way that protects the interests of pilots and fellow passengers equally. 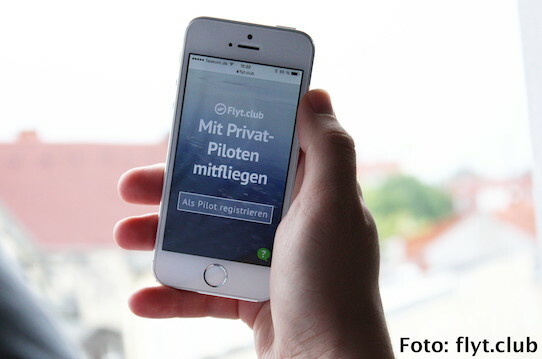 An integrated chat allows fellow passengers to contact the pilots in advance. What is more, each flight is evaluated after the implementation by both sides. There is also no financial risk. Until the completion of the flight, the money remains on a suspense account. 10 percent of the amount, Flyt.club receives as commission for the procurement. According to the German Federal Aviation Office there are currently 88,000 private pilots in Germany, flying 1.3 million times a year. 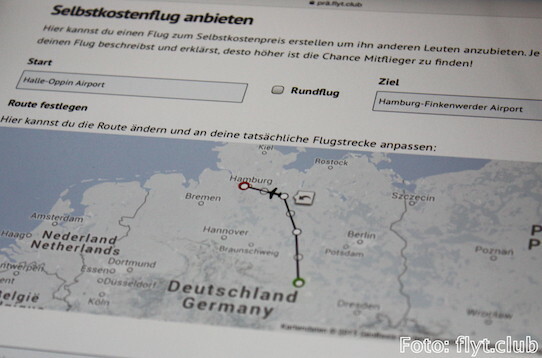 In Europe they can use 4,000 airfields – including 550 in Germany. Among the highlights of Flyt.club is, at the moment, a three-day round trip to Ireland or a trip to Scotland. The flight sharing platform is available for everyone in the European Union. An English website will be launched soon. In the USA Flyt.club can’t broker flights because of different flight regulation.